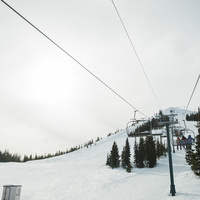 Join Jared for day of skiing or snowboarding at Hoodoo. After an awesome day on the slopes you will head to Belknap hot springs for a relaxing dip, this will be followed with dinner at the Obsidian Grill. Get in on the lowest group rates out there and ski/board your heart out. Cost: $43 ticket, ~$10 gas, $18 rentals, $12 lessons, $8 hotspring, dinner $ ?